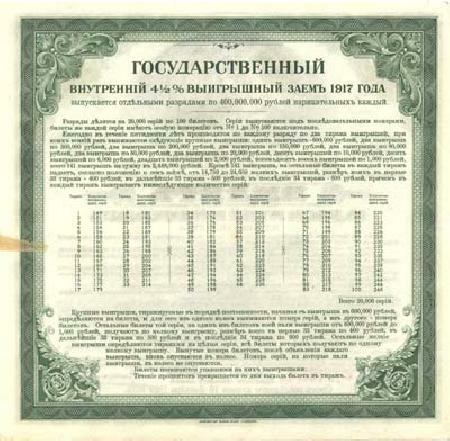 Beautiful 1917 issue bonds in near mint condition. Each is approx 7.5 x 7.75 in size and is printed on bank note quality paper with fantastic graphics. 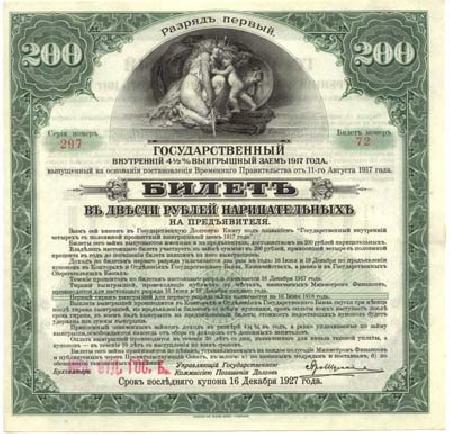 These were printed in the U.S. by the American Bank Note Company for the Russian government and were not issued due to the revolution. 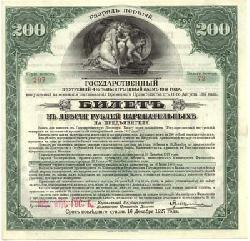 Each is a 200 Ruble denomination. We have both orange and green issues and they look great mounted together in a frame.